3 083,00 € tax incl. 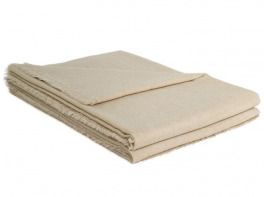 Lightweight blanket 240x265 cm 100% Yangir 70 gr/m² gray champagne natural. 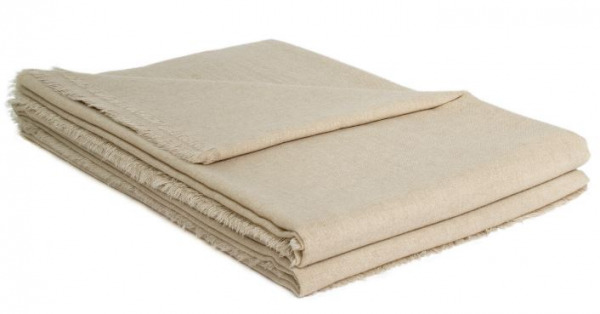 This elegant blanket of absolute finesse is made with the very fine down of an ibex from the foothills of the Himalayas. Its lightness confined to the impalpable and extreme finesse of its material gives it warmth and unparalleled softness. Border: fringed at both ends. The natural tone of this cover fits with different interior styles, from classic to contemporary. French weaving and origin of the fibers of the Himalayas.